Gourmet salts are unrefined, naturally-harvested salts (mostly sea salts) with comparatively lower sodium content, and without additives. Due to media exposure and increasing globalization, people are becoming more aware of various cuisines and are becoming more open to experimenting with food. By using gourmet salt, chefs are improvising on the recipes, enhancing the organoleptic qualities and hence, are increasing the appeal. The rising demand for traditional cuisines with enhanced flavor has increased the demand for gourmet salt from the food & beverage manufacturers and food service industry. The gourmet salts market, in terms of value, is projected to grow at a CAGR of 6.3% from 2014 to 2019 to touch $1,340.9 million by 2019. The gourmet salts are available in wide range of types such as fleur de sel, sel gris, and flake salts. Different types of gourmet salt have respectively unique flavors due to their distinctive combination of minerals and the variations of shapes and sizes of salt crystals. They are used to enhance the appearance of food, impart rich texture, pleasant aroma and mouth feel. The gourmet salt are used in canning and pickling of food items to retain moisture content and preserve them for later use. The market for gourmet salts was segmented on the basis of types, applications, and geography, in terms of both value ($million) and volume (tons). The gourmet salts market, by type, includes fleur de sel, sel gris, Himalayan salts, flake salts, specialty salts, and others. The applications of gourmet salt include bakery & confectionery, meat & poultry products, seafood products, and sauces & savory. 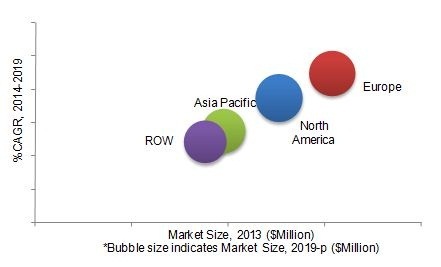 The geographic segmentation includes market size, in terms of value and volume, for key countries in North America, Europe, Asia-Pacific, and Rest of the World (ROW). The report provides a competitive analysis of developments recorded in the industry during the past five years. Market drivers, restraints, opportunities, and burning issues of the market are discussed in detail. The leading players in the market such as Morton Salt, Inc. (U.S.), Saltworks, Inc. (U.S.), Cargill, Inc. (U.S.), and Murray River Gourmet Salt (Australia) have been profiled in this report. In 2013, the gourmet salts market was dominated by Europe. North America is projected to grow at the highest rate during the projected period. The North American region is estimated to be the fastest growing market for gourmet salt during the review period. The growing demand for various gourmet salt in the U.S. drives the market in this region. The increasing awareness about the application of gourmet salt in various cuisines is also driving the market of gourmet salt, globally. This report focuses on the market for the F&B industry and food service industry. The market was segmented on the basis of types, applications, and geography. Gourmet salt is available in various textures and flavors, affecting the food accordingly. The various types of gourmet salts are flake salts, fleur de sel, sel gris, and Himalayan salt, to name a few. This type of salt has wide application in foods that include beef, meat, poultry, sea food, sauces, and roasted vegetables. They are also blended with spices and flavors such as garlic, onion, chili, paprika, and pepper. The market for gourmet salts has shown positive growth over the last few years. Gourmet salt are available in many varieties, each with a unique flavor, crystalline shape, and texture of its own. Due to media exposure and increasing globalization, people are becoming more aware of various cuisines and are becoming more open to experiment with food. Chefs are improvising on the recipes by using gourmet salt, enhancing the organoleptic qualities and hence, are increasing the appeal. The gourmet salt market was segmented on the basis of the types of salts, their applications, and geography. The market applications for gourmet salts include bakery & confectionery, meat & poultry products, seafood products, and sauces & savory. On the basis of types, the gourmet salt are categorized into fleur de sel, sel gris, Himalayan salt, flake salt, specialty salt, and others. 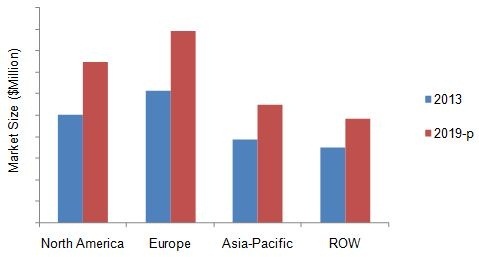 The geographic segmentation of the market includes regions such as North America, Europe, Asia-Pacific, and Rest of the World (ROW). The European region was the largest market for gourmet salt, in terms of value, in 2013. North American region is projected to be the fastest growing market for gourmet salt, in terms of value. The leading players in the gourmet salts market include Morton Salt, Inc. (U.S.), Saltworks, Inc. (U.S.), and Murray River Gourmet Salt (Australia). The companies are adopting development strategies such as new product launches and expansion to increase their products portfolio and productivity. 11.1 Alaska Pure Sea Salt Co.
11.2 Amagansett Sea Salt Co.
11.6 Maldon Crystal Salt Co.
11.10 Saltworks, Inc. *Details On Company At A Glance, Recent Financials, Products & Services, Strategies & Insights, & Recent Developments Might Not Be Captured In Case Of Unlisted Companies.